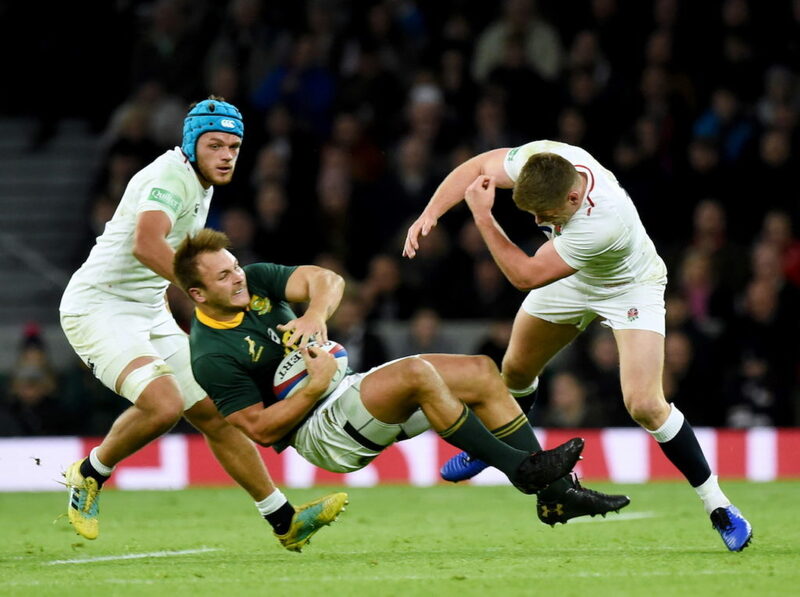 The Springboks remain fifth in the World Rugby rankings following their 12-11 defeat to England at Twickenham on Saturday. A win by any margin would have seen South Africa overtake England in fourth position in the rankings. England hung on for a one-point victory, though, and as a result remain fourth, while the Boks stay fifth. The Springboks lost 0.48 of a rating point and are now just 0.17 of a point ahead of the Wallabies, who rose to sixth following Scotland’s defeat to Wales. Scotland were docked 0.41 of a point and Wales gained 0.41 after their Test in Cardiff.